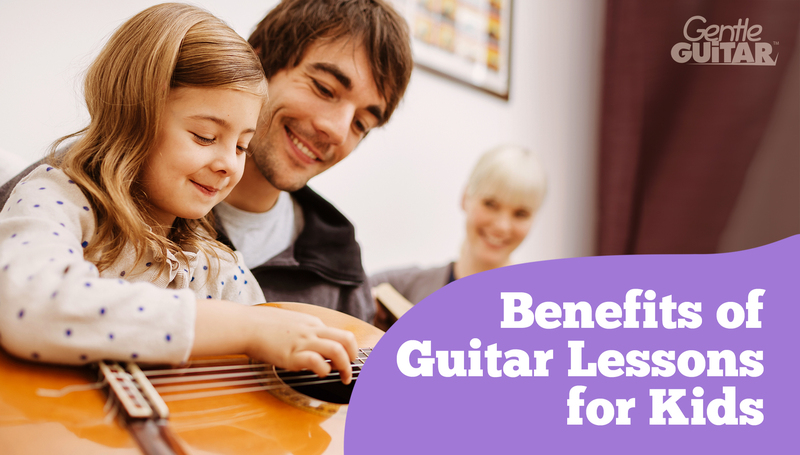 Learning the guitar will help your child develop their concentration skills, due to having to focus on a specific task over extended periods of time. Developing concentration like this will also help them when they need to focus their attention in other educational subjects. Practicing guitar has been shown to improve hand-eye coordination. Children develop important motor skills, similar to when they take part in certain sports activities. It’s just that the risk of injury is less when playing guitar! Music therapy is increasingly being used to complement more traditional forms of healing and medicine. Researchers acknowledge that certain types of music can have a calming effect, and aid relaxation by lowering heart rates. Played well, the sound of a guitar (especially one with nylon strings) can be exceptionally soothing. To learn any musical instrument, children must develop patience and perseverance. This helps them in later life when they come to tackle other situations and challenges. 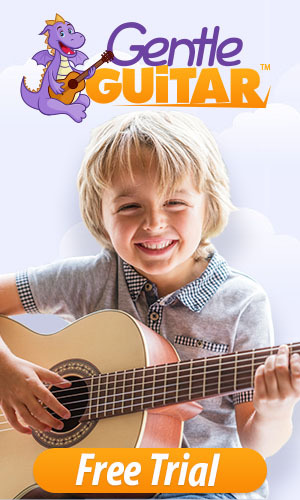 By providing them with the opportunity to learn guitar, together with the encouragement of a good teacher and also you showing plenty of support, you can help your child develop a sense of pride as well as increasing their confidence. It’s widely believed that children who practice creativity and self-expression that goes with playing guitar often become better communicators and happier individuals. My son has always loved music since he was a baby and he recently expressed interest in learning to play the guitar. I am thinking about getting him guitar lessons from a professional as a Christmas present and I did not realize how many benefits there are! You make a great point that taking lessons will help my son to learn coordination and concentration skills. Also, the fact that he will be able to gain patience because it takes time to learn an instrument is an important skill that will help him for the rest of his life! I like what you said about how teaching children how to play the guitar will help them develop the patience they need for facing the more complex situation and challenges in life. My son has expressed an interest in music at 6 years old. I should definitely get him some guitar lessons after learning how it can positively affect his development. Teaching patience is a big deal for a lot of people that are trying to learn a little more about guitars. This is a great skill to have in general for life. My sister would love this a she looks for guitar lessons.